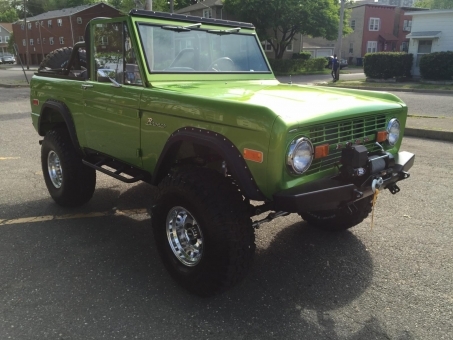 If you are looking for a Bronco that makes a statement, you found it! Turn key show truck. Everything down to the metal is brand new. Upgrades: paint, lift, crate engine, bumpers. 1974 Blue Print crate 302 C4 automatic 3" lift 1" body lift Snakeskin green Black 35" BFG mud terrain VERY NICE TRUCK RUNS AND DRIVES 100%.